Professor Jake Fisher enjoyed his teaching job at Lanford College, enjoyed his interaction with the kids, and even though he firmly believed he couldn’t be “friends” with his students, he still had their respect…it was a mutual respect he had garnered over the years, and one he managed to retain whatever happened. But the afternoon his life changed, once again, when he was drawn back into his past by an obituary notice on the college website, he was shattered. Six years earlier he had watched the love of his life, his soul mate and the woman he had determined he would spend the rest of his life with, marry another man. The shock of the sudden break-up and Natalie’s immediate marriage to someone she called an ex-boyfriend gutted him. But when she asked him never to contact her again, to make a promise, he did. He never stopped thinking of her, wondering how she was and where she was, but he honoured her wishes. That was until he saw that obituary, and saw it was for her husband Todd Sanderson, the man she had married that day, six years ago. With the feeling that he needed to find Natalie now that her husband had passed away, he went to the funeral. He just wanted to see her, to get a feel for her, but when he saw the grieving widow, he couldn’t believe his eyes. The two children who were teenagers also shook him to the core. There was something strange going on…this woman wasn’t Natalie, the children couldn’t be Natalie’s children! As Jake tried to find Natalie, her sister, and the friends they had made together didn't remember him, and he felt his life unravelling further. It was almost as if she didn’t exist…she had never existed. Was she a figment of his imagination? But with the sudden danger that appeared one dark night, the fight for his life began, and the fight for his sanity. Was there anyone he could trust? This was an absolutely brilliant page turning thriller! The twists, the pace of the plot, everything was intense. 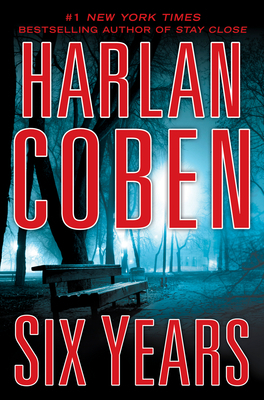 I love Harlan Coben’s work, and once again, he didn’t disappoint. Highly recommended. I've wanted to read this for a while. Did u get it as an ARC? No Jen,I borrowed it from my library. It was brilliant! I had read this and it was excellent! the ending was just so good. a true epitome of 'love conquers all'. It comes out in Paperback (I only read paperbacks) in the UK early this year. It is very much on my 'Must Read' list. Can't wait. Thanks for the review, whetted my appetite some more.